Since I moved north, closer to King’s Cross, it has interestingly become much easier to travel southeast to Kent. This is because of the High Speed 1 link between St. Pancras Station in London and the Channel tunnel. 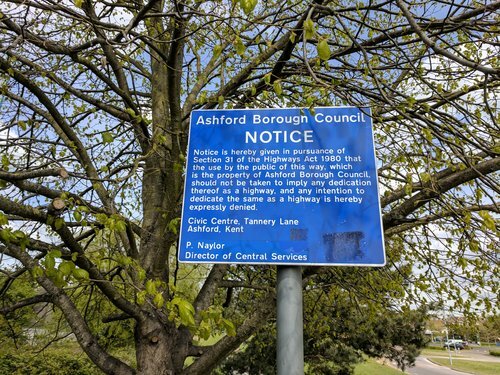 Notice is hereby given in pursuance of Section 31 of the Highways Act 1980 that the use by the public of this way, which is the property of Ashford Borough Council, should not be taken to imply any dedication thereof as a highway, and any intention to dedicate the same as a highway is hereby expressly denied. Did you read this? Then you have made the same mistake as I did. Well, not any smarter than before I continue on this “highway” that is not a “highway”. It is green, devoid of any traffic and I praise the luck that I found this path. 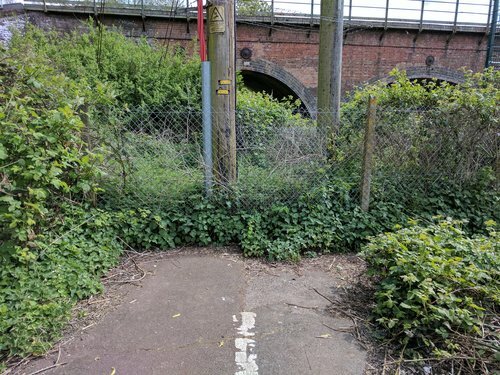 Until the path is no more, it suddenly comes to a full stop at a railway bridge over a river. I felt some explanation would be great, so why not have a signpost with many words here? Anyways, I don’t linger for long and decide to try my luck further up north. Further north. I arrive at what I thought would be a nice path on the map on my phone, but it turned out this path leads through a gated private estate. There is a reason I usually bring Ordnance Survey (OS) Maps, where all the public footpaths are listed. 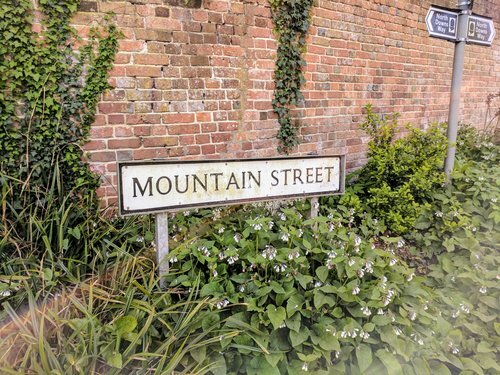 I have OS maps of many places in the UK but not of this area of Kent. So today, I have to find my way using Google Maps and a compass. 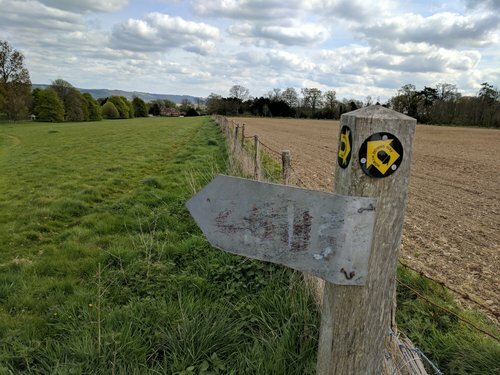 I briefly looked at the North Downs Way ahead of the trip and was hoping that I would find the North Downs Way which is usually better sign-posted than other public footpaths. That private fenced-off area is off clearly limits for a landless man like me. I make some progress by turning onto the very public Faversham Road. Faversham rings a bell. It is where a large store of TNT in a munitions factory exploded during World War I. Something I learnt the day before when reading the Wikipedia article of Silvertown (London) and the Silvertown explosion. Soon I leave Faversham Road to try my luck with a public footpath, with a sign indicating that I should cross a field. 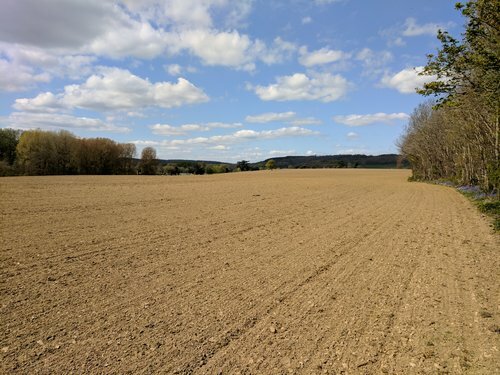 That’s not unusual for public footpaths but on this one, there is not any trace of people having walked through that field before (after the run I looked at the satellite images, and indeed the public footpath runs straight across the field). I run around on the edge of the field, a tactic that will ensure that I will discover any other footpaths leaving the field. After almost hurting myself by hitting what might be a plough tooth, my tactic pays out and I stop at what looks like a signpost. 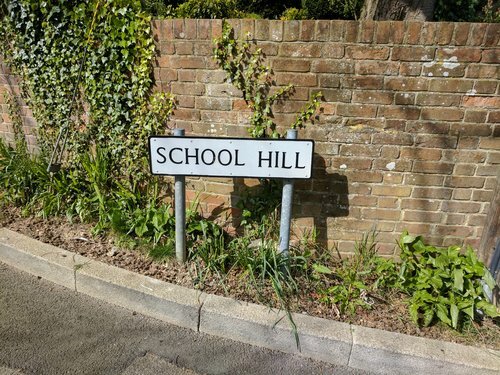 The signpost has nothing written on it. I look over the fence and on the other side of the post, it reads that this is the North Downs Way. 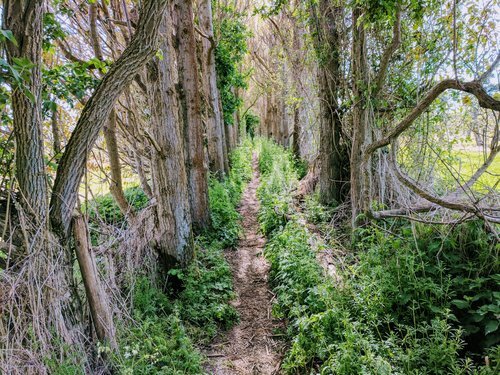 I carefully climb over the barbed-wire fence to leave what was marked a public footpath, and to join the North Downs Way. Lucky that I found it so early. 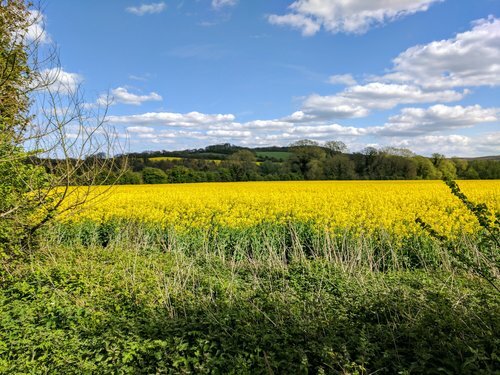 I follow the North Downs Way which brings me briefly back on Faversham Road, past a triangular common where a game of cricket is being played. I continue running, which is harder than usual after a week’s break. The North Downs Way soon forks. One branch goes south to Dover, whereas the other goes via Canterbury and then south to Dover. I take the Canterbury branch. Surprisingly early, I see the Canterbury Cathedral in the far but only because a sign brought it to my attention. Chilham is quite pretty, and Tudor houses decorate a square in the village. However, that square has been turned into a parking lot. The pub’s not as frequented as I thought even though the parking lot is nearly full. But no problem, because the cars can also park on the curb in the nearby cemetery of St. Mary’s Church. A cemetery turned parking lot. I enter the pub and get a pint of coke. I rarely drink that but it’s great when being out on a run. No ice, I don’t want my brain freeze. After downing the pint without a brain freeze, I continue to complete the second leg of my journey. Not many people out there. I only meet a few hikers, and no other runners at all. I come past a village for seasonal workers on the local orchards. 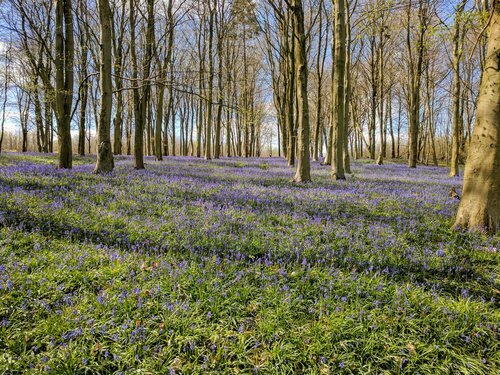 Kent, Garden of England. The last kilometers to Canterbury go mostly downhill. After 30 kilometers from Ashford, that is more than welcome. I walk around for a bit and take a picture at the famous Cathedral. 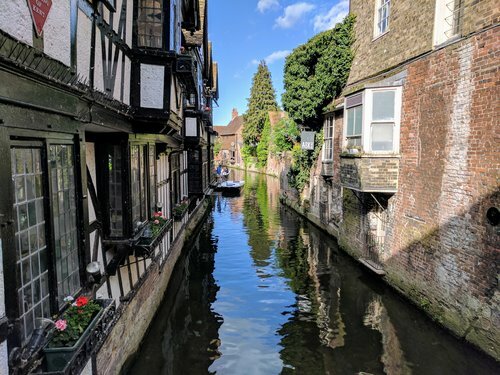 Canterbury is the first place that I visited when I came to England in my very first visit. And being back after so many years, it always feels a bit strange. But this second visit is dedicated to my grandfather. I wished I would have more energy to explore the town and its history but I am tired, get some snacks and return by train.